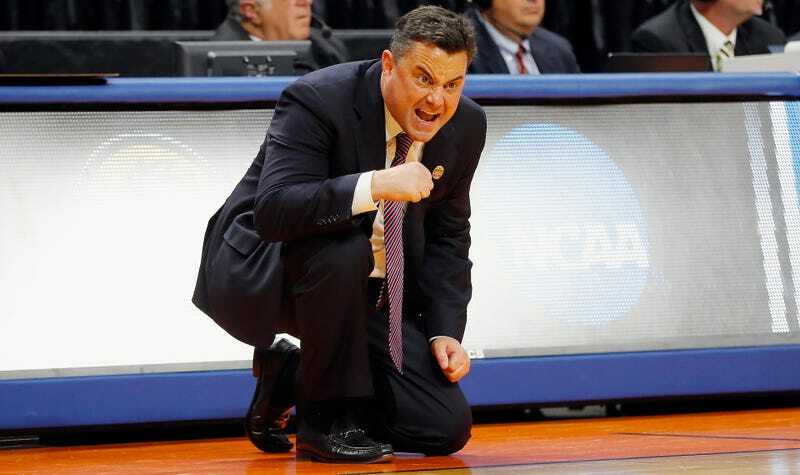 March has not been kind to Sean Miller. The Arizona men’s college basketball coach—who may or may not have been caught on an FBI wiretap arranging to pay DeAndre Ayton $100K—has no recruits coming to Tucson next year, and his squad vacated their bowels against 13-seed Buffalo in the first round of the tournament. With those lowlights and an uncertain future with the Wildcats, Miller would be a natural fit for the recently opened job at Pitt. Nothing about how he’s happy with his current position, though.